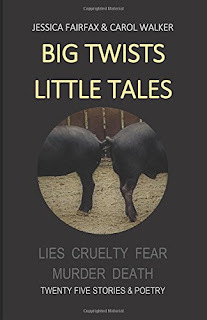 Twisted Tales is an unusual collection of short stories and poetry full to the brim of surprises which are wicked and witty, albeit black humour. They will take you down roads with twists and turns and bumps along the way. There are twenty five stories and poems including: Butterflies and Batwings; Soulmate; There’s something about Christmas; Henry; The Shrieking Woman and There will be cake, plus many more. For unexpected chills Jessica Fairfax and Carol Walker do not disappoint. I love supporting local authors and this latest offering is a collection of short stories and poetry by Jessica Fairfax and Carol Walker. What a kaleidoscope of writing this is - there's everything from laugh out loud humour to dark and twisty thrillers within this little gem of an anthology. 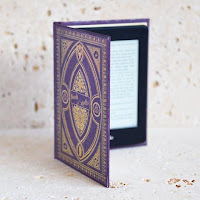 It's difficult to review a collection of short stories as you can't share a little of the story, but it would be absolutely impossible to share any of these stories as they are all so very eye-opening and unexpected. As always, with a collection of short stories everyone will have their own favourites and that is the beauty of it. The world would be boring indeed if we all liked the same things. The first story, Temperature Rising, sets the bar with an explosion in the pit. As the injured are taken to hospital, those who appear dead may actually still be alive! What a horrific thought: it's akin to being buried alive and so very sad to think a living soul could be trapped within a failing body. I'm showing my darker side by also mentioning the story called 'Leather versus Rubber' which sees a bickering couple making the trek across St Mary's Causeway in Whitley Bay with only one of them returning. I loved the way the story built up to a crescendo, almost like a wave crashing against the shore. As for the final story, wow just wow! What a brilliant piece of marketing to give two endings to a story and ask the reader which one they preferred. This brings the cover and the title of the book into play and again, I think many readers will differ over which ending they preferred. For me, after a LOT of deliberation, it was ending two. If you've read the book, do let me know which one you preferred. 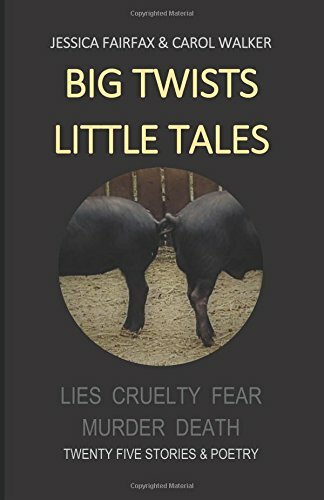 A superb little collection of dark and disturbing short stories as twisty as a piglet's tale; there is something for everyone within Big Twists Little Tales.